STEAM is STEM with Art, and what a buzzzzzzzing day was had! 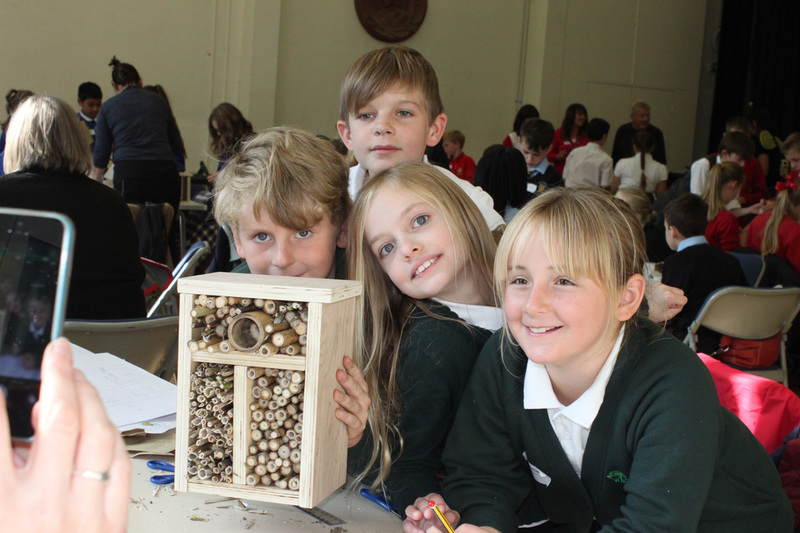 Inspired by Big Draw 2016, STEAM asked visiting pupils to design and build a functional bee hotel that could help promote the welfare and population of bees. The bee hotels will feature in a Big Draw exhibition in January which will be attended by visiting artist, Wolfgang Buttress, who will also deliver a talk on his sculpture work The Hive, featured at Kew Gardens, London. 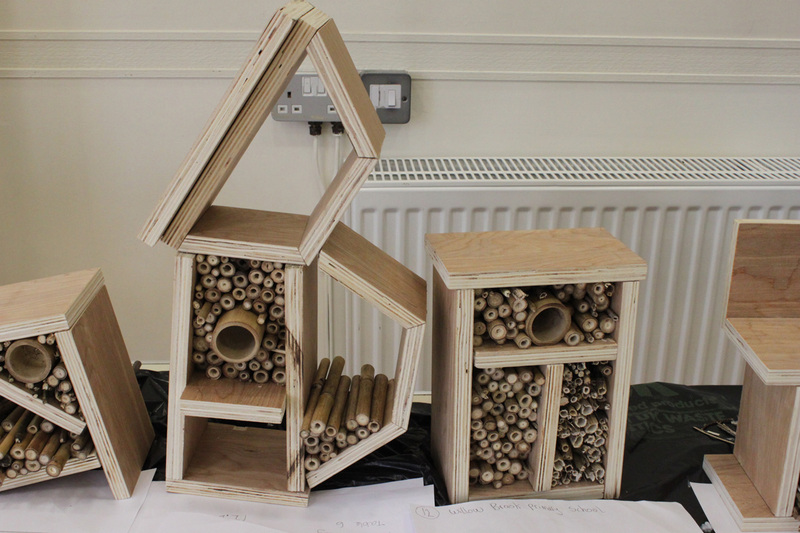 Bee hotels will then be delivered to each school and placed in their local environment to promote bees and sustainability. 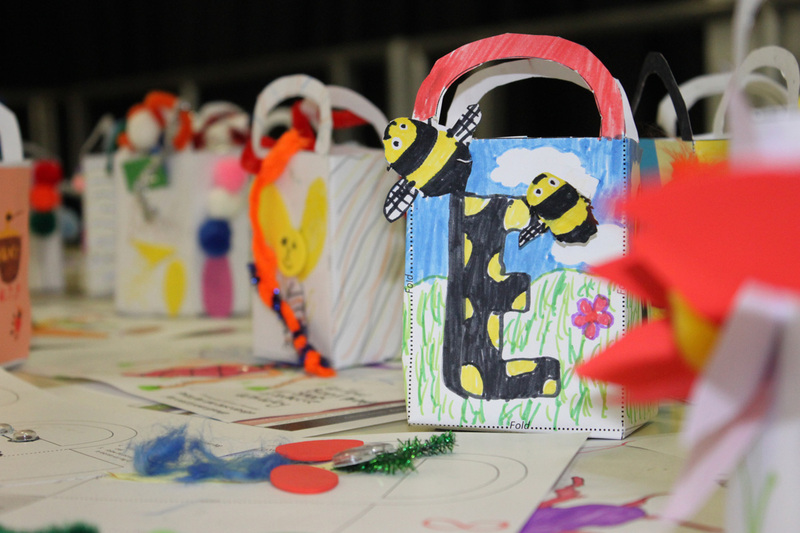 During the morning, children made and decorated seed purses that would carry seeds for their hotel plot to attract bees. They were also given a short presentation by one of our Senior Prefects and wildlife fanatic, Sorrel. Sorrel emphasized the importance of bees to the success of crops through pollination, as well as the importance of bee hotels to enable solitary bees to nest away from hives. From a short video, children discovered that bees are excellent engineers, and the hexagonal shaping of hives have been an efficient way of producing honey for centuries. This mathematical genius inspired many of our visitors to create interesting and creative designs for their hotels. Well done to all the children that visited and created some excellent structures. We are excited for Wolfgang to see all your wonderful work!